The New York Yankees’ front office today continued to stay active in the free agent market as they decided to add infielder D.J LeMahieu to a two-year deal worth $24 million. The 30-year-old second baseman has spent most of his career with the Colorado Rockies, putting up impressive numbers at the plate. LeMahieu has been a .298 hitter since entering the majors in 2011 and owns a career .350 on-base percentage. The two-time All-Star was originally a 2011 second-round draft pick by the Chicago Cubs, and after a trade to Colorado prior to the 2012 season, he quickly became a solid contributor in the Rockies lineup. LeMahieu hit .286 over his first four seasons in Colorado, but exploded in 2016, the year he totaled 32 doubles, 104 runs scored, a .911 OPS and took home the National League batting title with a league-leading .348 average. Over the last five campaigns, LeMahieu has won three National League Gold Glove awards at second base and leads NL second basemen with 48 defensive runs saved. Over the last four seasons, the California native has the fifth-lowest swing-and-miss rate and the sixth-highest contact rate among 104 hitters with at least 2,000 plate appearances. From 2015 to 2018 he scored 375 runs while hitting for a .309 average along with 253 RBIs and 172 extra-base hits. He has played strictly at second base for the last four seasons, but he’s seen action at all four infield spots during his career so he could be used as a utility player in the upcoming season. 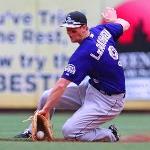 He’ll also be reunited with former Colorado teammate Troy Tulowitzki, who signed with the Bronx Bombers on January 4.